As London’s premier glass and glazing installation company, Monarch Glass is dedicated to bringing you impeccable workmanship and service, unrivalled in the trade. With 18 years in the business our experience is wide-ranging, offering expertise that will fulfill all your glass and glazing needs. Whether you need new doubled glazed windows, a statement splash back or perhaps a stunning set of bi-folding doors, our glaziers provide a comprehensive service across both commercial and domestic sites. Our glazier team offers a bespoke service, keeping you informed from your initial quotation meeting right through to the end product, even if it's as simple as an emergency repair. 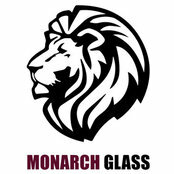 Servicing London and the M25 area, the Monarch Glass team is on hand to take care of you.